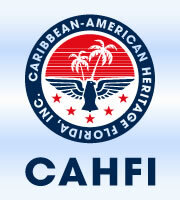 The Caribbean American Heritage of Florida Inc. (CAHFI) is a statewide not-for-profit corporation incorporated in the State of Florida for the purpose of developing awareness and recognition of Caribbean-Americans and their contribution to the United States of America. Provide educational resources by developing, publishing and distributing printed, audio-visual and interactive media. Facilitate cultural sensitivity and awareness through speaking engagements and the presentation of workshops for educational, corporate and civic institutions. Provide entertaining and enlightening cultural exchanges by producing festivals and fairs including the Caribbean American Festival as CAHFI’S flagship event. Caribbean American Heritage of Florida Inc.